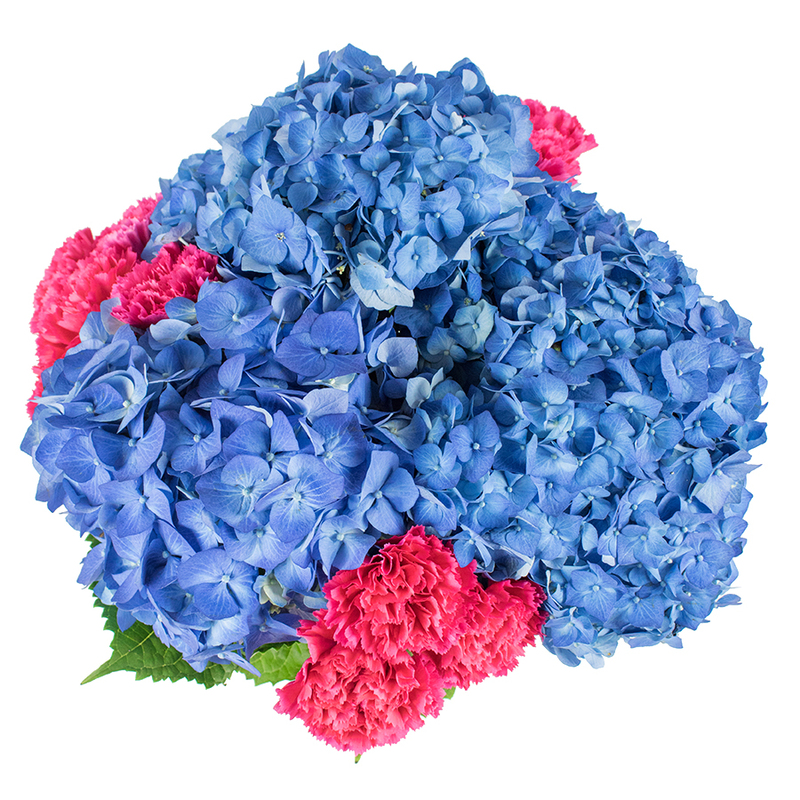 Fresh as a sea breeze, this colourful bouquet is created to catch the attention! It is a lovely and very colourful combination of red carnations and blue hydrangea that no one could resist! Truly mesmerizing! Your flowers and bouquets always steal the show whenever I have them at a gathering. 5 stars for the flower delivery and the gorgeous bouquet! I was very excited to give it to my sister for her 30th birthday. She loved it! 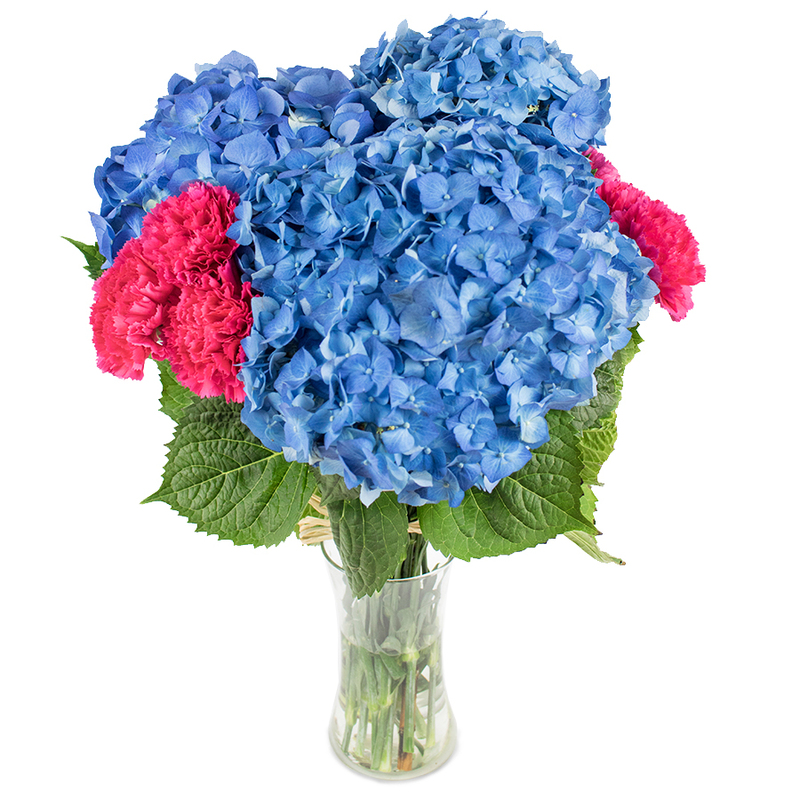 Called and asked for a bouquet made of blue flowers. They offered this one and I liked it very, very, much. The bouquet was delivered the next day. Very reliable company! What a lovely surprise gift! I loved the colors of the flowers. They were so vibrant and made my room brighter and sunnier! The best service ever! It was easy to order the flowers and to be honest it was a real pleasure to speak with their team. Nice and honest people. The flowers arrived on the next day, early in the morning as I wanted. Thank you very much!